As lawmakers debate whether or not to merge two crucial farm conservation programs, the future of farm pollution in Iowa—and other Midwestern states—hangs in the balance. 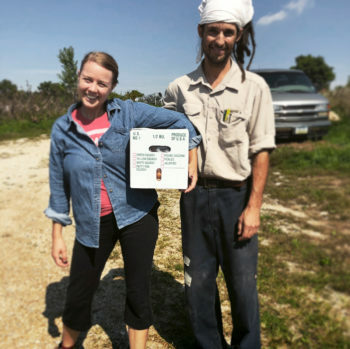 Molly Schintler and Derek Roller of Echollective Farm have been growing a diverse array of vegetables on 19 acres 25 miles outside Iowa City since 2001. 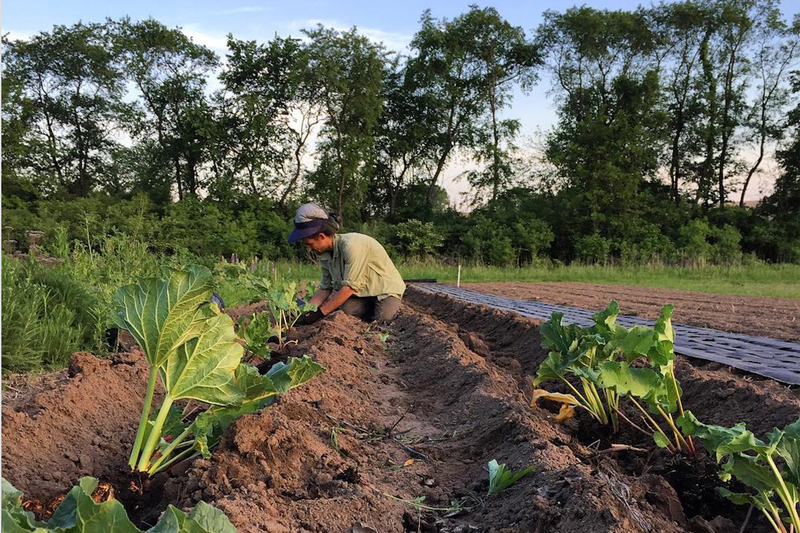 While the farm is not certified organic, they use sustainable methods, crop rotation, and other eco-friendly practices and steward 20 acres of woodland in an effort to put people and the environment first. To help balance those interests, Echollective recently signed onto the Conservation Stewardship Program (CSP), a U.S. Department of Agriculture (USDA) program that encourages comprehensive natural resource conservation on working lands. The program will recognize Echollective for its past conservation efforts and requires the farmers to enhance their current practices with additional activities. With the CSP funds, Schintler and Roller will mulch large areas, run soil tests, and plant nearly an acre of native fruit trees and pollinator habitat over the next five years. The Conservation Stewardship Program began as the Conservation Security Program in the 2002 Farm Bill, and its current iteration was first authorized in the 2008 bill. The nation’s leading conservation program by acreage, CSP pays farmers to improve their practices in ways that benefit the air, water, and soil without taking land out of rotation like the Conservation Reserve Program requires them to do. It focuses on continual conservation and bases compensation on several factors, including time and resources invested and the expected degree of conservation benefits. As of 2017, CSP covered an estimated 72 million acres; the vast majority of those acres are on large, conventional farms such as the thousands of Iowa corn and soy operations that surround Echollective—operations where farmers are generally less likely to have conservation practices on their to-do lists without funding. The future of the program and Echollective’s contract are uncertain, however. The 2014 Farm Bill expired on September 30 after Congress proved unable to agree on a new bill, in part because of disputes over CSP and debate over cuts to the Supplemental Nutrition Assistance Program (SNAP). The House of Representatives has proposed cutting CSP and rolling its “best features” into the Environmental Quality Incentives Program (EQIP), a similar conservation program for working lands without a long-term commitment. If this happened, EQIP would absorb $3 billion previously allocated for CSP. The Senate’s more moderate farm bill, on the other hand, would maintain the status quo and maintain the separate programs. Either way, the direction Congress goes will have major implications for farmers and natural resources around the U.S. In Iowa, farm conservation focuses mainly on the interlocking challenges of soil health and water quality. A lack of crop diversity, reliance on synthetic fertilizers, and the fact that much of the soil sits uncovered by plant life for around six months a year in the ag-intensive Corn Belt make soil susceptible to nutrient loss. “We know the corn and soybean system is what we call a ‘leaky system,’ so it leaks nutrients,” said Chris Jones, a research engineer with the Iowa Institute of Hydraulic Research. Jones said the two main nutrients of concern, phosphorus and nitrogen, leak differently. Phosphorus mainly enters streams through overland runoff. As water travels across the surface of exposed soil, it picks up phosphorus particles and carries them into nearby waterways. In Iowa, all rivers and streams eventually drain to the Mississippi. Highly soluble nitrogen dissolves in the water, and moves through networks of underground pipes called drainage tile. These systems keep once-waterlogged fields dry enough to cultivate but flush nutrients into the same waterways. Not only have nitrogen levels reached a crisis level in Iowa, where filtration costs millions and public utilities have been pitted against farm communities, but runoff from the state (along with 31 others) makes a significant contribution to the algae blooms that have created a massive dead zone in the Gulf of Mexico, where low-oxygen conditions are inhospitable to life. A study Jones and his colleagues published in April found that Iowa contributes on average about 29 percent of Mississippi River dissolved nitrate, though it only accounts for 5 percent of the total land draining into the river. Conservation practices such as planting cover crops, adding streamside vegetative buffers, and cutting down on tillage can help keep soil and nutrients from entering the water. Ultimately, Jones thinks increasing crop diversification with less leaky options is the best solution. Jones said government conservation programs like CSP and EQIP are crucial to implementing such solutions in Iowa, where only about 2 percent of land is under state or federal control. Implementing conservation solutions on private land requires accessible programs that incentivize active conservation or land retirement, he added. Some conservationists worry that if the farm bill rolls CSP into EQIP, conservation practices like those needed to solve Iowa’s water problem will take a hit. “[CSP] is a very vital program across the country because it’s a program that has milestones and benchmarks,” said Alex Schmidt, president of the Conservation Districts of Iowa. He said about half of Iowa counties invest more money in CSP versus EQIP. The preferred program depends on local needs and the approach of the county’s conservation commissioners. He worries that lapsed a gap in funding between now and whenever the new farm bill passes will further stall a sizable backlog of Iowa farmers waiting for acceptance into conservation programs. Schmidt said the draft Senate farm bill is the best case-scenario for conservation because it keeps the two programs separate. Alyssa Charney, senior policy specialist for the National Sustainable Agriculture Coalition (NSAC), agrees. “The Senate really offers a bipartisan path forward for getting a farm bill passed across the line, and that is especially true for conservation programs,” she said. Charney said most of the House’s proposed $3 million boost to EQIP likely would not go to stewardship-type contracts, based on language in the House draft. She said that because acreage eligible for CSP is divided based on the proportion of a state’s total agricultural land, states like Iowa in the middle of the country will take the hardest hit. Conservation practices needed to solve Iowa’s nutrient runoff problems, like diversified crop rotation and cover cropping, are the types of high-level activities CSP currently promotes, Charney said. And losing that would be a big blow to the state, and others like it. Iowa Senators Joni Ernst and Chuck Grassley expressed support for maintaining current CSP funding through their proposed GROW Act in March. Laura Crowell, the Iowa public affairs officer for USDA’s Natural Resource Conservation Service (NRCS), said EQIP is Iowa’s number one conservation program, though both ultimately help get conservation on the ground. She said there is a lot of overlap in activities both programs encourage, and stressed the importance of soil health for both farmers and nature. Crowell said current CSP contracts must legally be funded until they expire regardless of the program’s status in the new Farm Bill. Farmer Schintler still worries, though. She said Echollective would not be able to complete all their designated projects without CSP funding, and would certainly be unable to re-enroll in the program after five years. Schintler said she’d support the potential change if it streamlined processes or helped the overall farm bill budget. 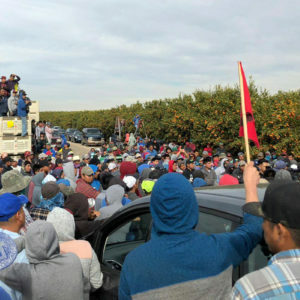 But she questions why congress would cut such a reputable conservation program considering the serious water and air quality challenges we face as a nation. And she notes, conservation matters for everyone who eats, breathes, or drinks water. 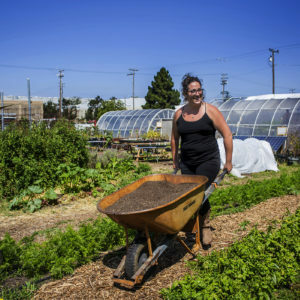 “The food system allows everybody else to do all the things they do on a daily basis. They should care about food producers and the farm bill,” Schintler said. Our elected officials seem to ignore that we are killing ourselves and our future generations with poisons on our food that cause autoimmune diseases, toxins that cause dementia and polluting our water which is required for survival! Glyphosate studies show that its in ALL our cells now! Our bodies mistake it for glutathione and try to bind it with glycine, but it cannot, of course. Iowans suffer from extraordinary levels of environmentally triggered diseases that have increased in parallel to the allowable amount of RoundUp since 1995. It is now allowed at 500 times the 1995 levels. How can we wake voters/consumers to the damage being done to nature, and to us, our children, our grandchildren and the future of this country? Sandra, CSP is not effective at reducing pollution. CSP allows the use of Roundup for weed control. The money could be used more wisely elsewhere. 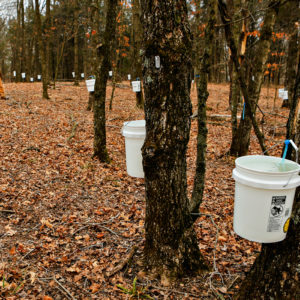 EQIP actually does some good with conservation practices, but CSP is a "bucket on the porch" welfare program. CSP initially started with the motto "reward the best and motivate the rest". Now the motto is "everyone come get a piece of the pie". It needs to go away. The enhancements are vague, hard to interpret, and have no teeth for requirements. Landowners stand with their hand out and get paid for doing virtually nothing. This article is BS and fear-mongering. The sky will not fall if CSP is gone and neither will the environment. Put the money where it does some good.